Excuse the use of the word funness. It just ticked my brain and I had to get it out. I wanted to do something fun for Fridays. Something that didn’t require a lot of reading or a lot of thought. For the first Friday, I decided that I wanted to dream of the office I would like to have in the future. I can’t help it, I know I will have it one day. Let’s jump right into it. I actually created a board on Pinterest with all the wonderful things I found that I loved and you can find that HERE. 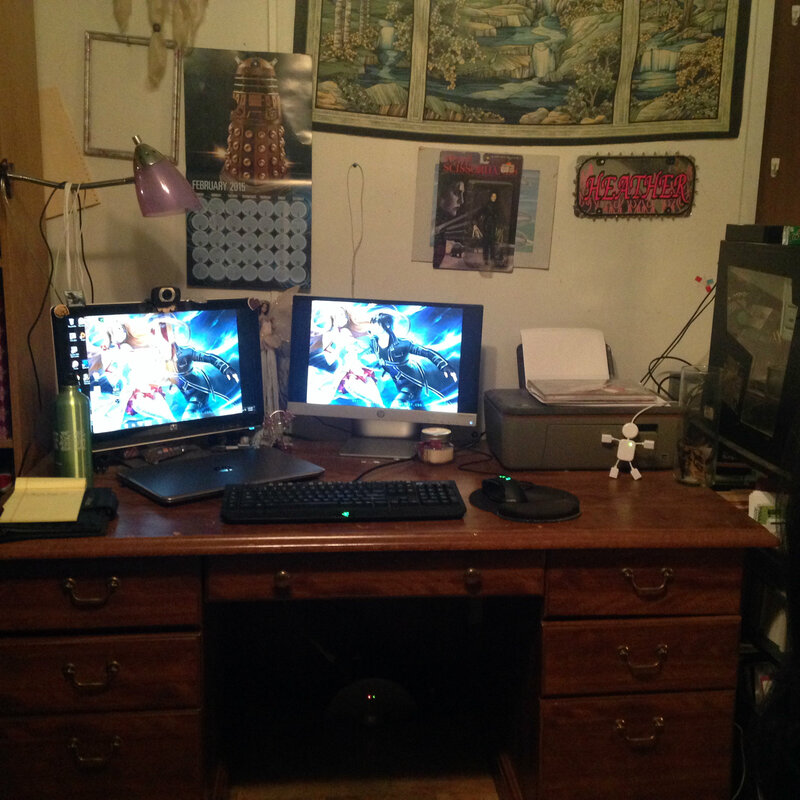 Before we get started I thought I would remind you what my desk/office area looks like right now. To the left is a bookshelf and to the right is a little shelf that holds books and my computer “tower.” On over to the right is my closet door, and beside that is another bookshelf. That would be the bookshelf to the right. 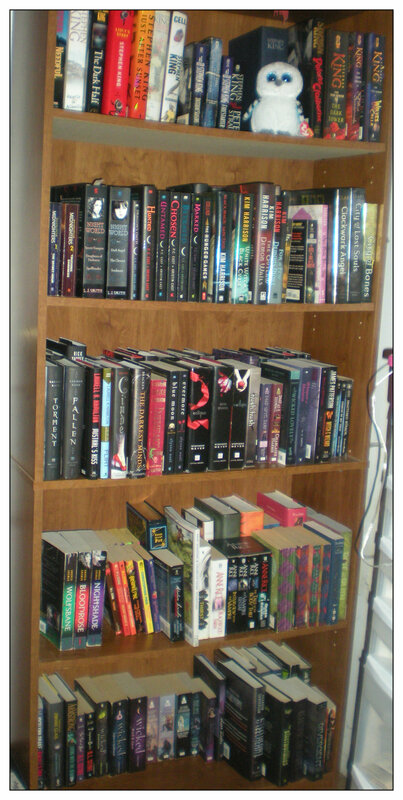 It has changed just a little since this picture because I was finally able to clear off my shelf on the left and move some books over to it. Of course, I am still running out of room for books. How sad is that?? I hit up Pinterest (did you expect anything else from me?) for some inspiration and I found some amazing things! This is just for wallpaper reference. I love the whole…forest(?) look of it. If you have ever seen Once Upon a Time, think of the mayors office. I want that wall paper. It looks so amazing and writing in a room that looks like a forest is just begging for imagination and creativity to seep out of every pore. This right here…kills me! There are so many spaces to put things. So many places to put books and notebooks and pens and…and…and…(deep breaths Heather! Breathe!) Okay, I’m good now. I honestly have a shelf fetish or something. I see shelves and I squee like a little fan girl (which I am that too) and hold out my hands in a “gimme, gimme” fashion like a child does. Okay, as you know I am a crafter as well as a writer. This office looks like it has space for every need! Writing space, crafting space, and I will imagine a nice comfy chair in one corner for a reading area. 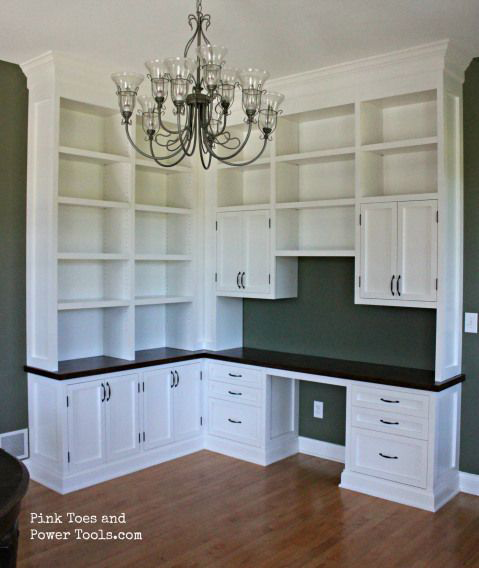 Of course, along one of those walls would have nothing book bookshelves. It has to have a large bookshelf. This photo is where I am going to start in my own space now. 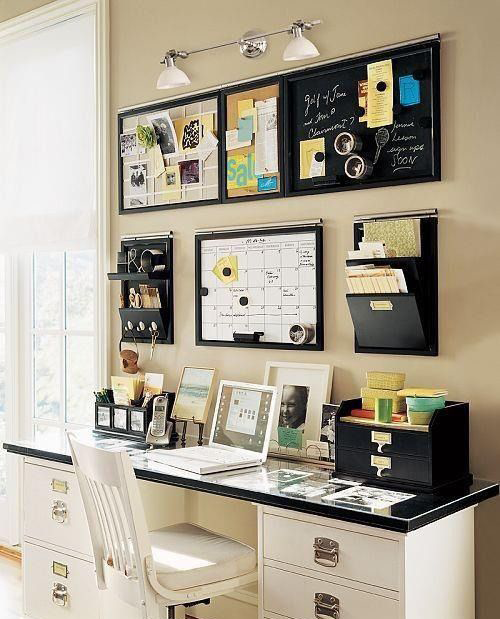 I love the organizing space on the wall. It has inspired me to change up my own area, something that I do have control of right now. This is what the wall above my desk looks like right now. It’s not very bright nor is it inspiring. By the way, the small picture, if you can’t read it, it says; “If you can imagine it, you can achieve it. If you can dream it, you can become it.” And along the bottom it says “BELIEVE” I got it from the Dollar Tree! This is my post to start a remodel. I don’t know how long it will take or even what I am going to do. I do know that I will start with the wall and take down everything, find a new place for it and start sketching out some ideas on how to make it more inspiring. Until I can have my own office, I will make do with what I have in front of me. But I will never stop building my perfect dream office. 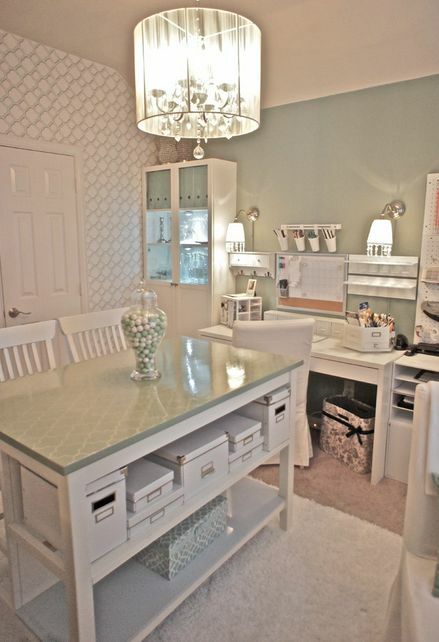 Do you have a dream office?? 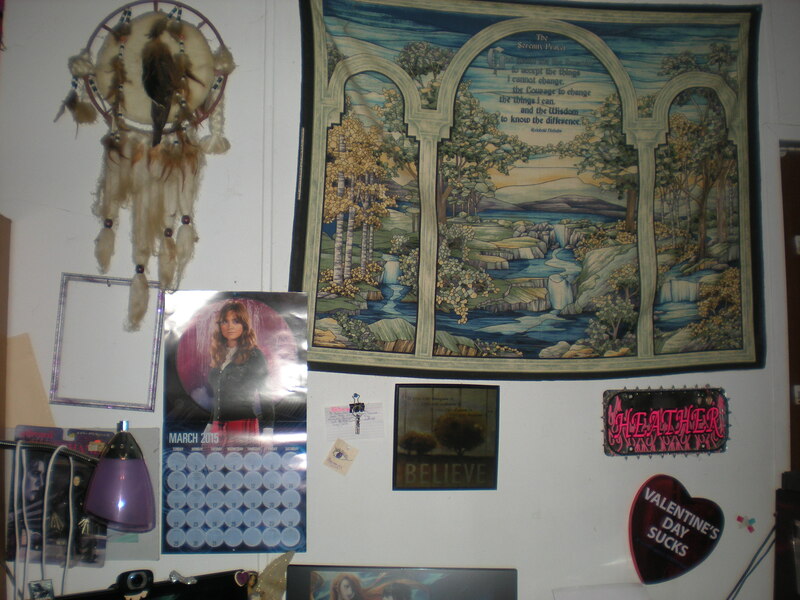 Or dream room? I love that word “funness”. Lol. It’s fun to say too.